This is the first comprehensive treatment of a major order of arachnids featuring more than 6,000 species worldwide, familiar in North America as daddy-longlegs but known scientifically as the Opiliones, or harvestmen. The 25 authors provide a much-needed synthesis of what is currently known about these relatives of spiders, focusing on basic conceptual issues in systematics and evolutionary ecology, making comparisons with other well-studied arachnid groups, such as spiders and scorpions. Broad in scope, the volume is aimed at raising relevant questions from a diversity of fields, indicating areas in which additional research is needed. The authors focus on both the unique attributes of harvestmen biology, as well as on biological studies conducted with harvestmen species that contribute to the understanding of behavior and evolutionary biology in general. 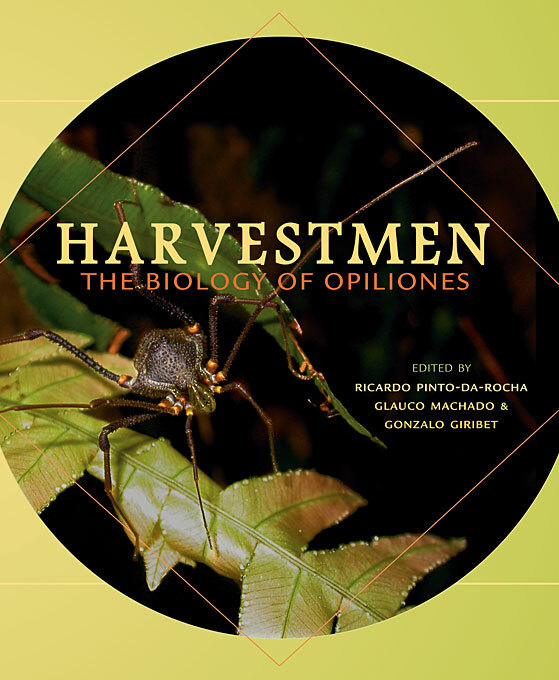 By providing a broad taxonomic and ecological background for understanding this major arachnid group, the book should give field biologists worldwide the means to identify specimens and provide an invaluable reference for understanding harvestmen diversity and biology.